Danny has poured his life into the real estate business for over two decades. 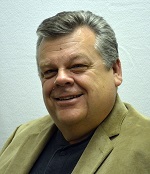 In addition to serving as the Principal Instructor and curriculum developer for ARES, Danny is also the Principal Broker for DANALI Real Estate, Inc.
As a student at Southeastern Oklahoma State University and later at the University of Arkansas, Danny sought to learn everything he had an opportunity to learn. That thirst for knowledge has carried into his real estate career, driving him to ensure he has the most current and accurate information at his disposal to pass on to his students. Experience as retail store manager and as a small business owner give Danny an abundance of real-life examples which make learning come alive in his classes. Danny maintains a keen awareness and up-to-date knowledge in real estate law and ethics and impresses on his students the importance of practicing real estate according to the highest standards. As a practicing broker, Danny has the opportunity to experience and understand the real estate industry on a daily basis..
8 Years as small business owner in building supply & outdoor power equip.